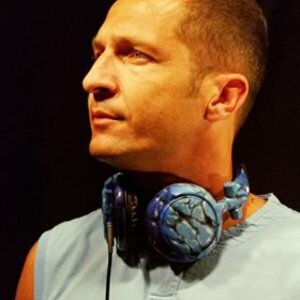 Mauro Picotto aka CRW and RAF (born December 25, 1966 in Cavour, Italy) is a famous Italian techno producer, remixer and DJ. Formerly a contributor to Italian Eurodance outfit Cappella, he became popular with tracks like "Proximus", "Komodo", "Iguana", "Pulsar" and "Lizard". He has cooperated with many popular trance musicians like DJ Ti?sto. He now promotes his own club night called "Meganite", now in its fouth year at Privilege Ibiza, the worlds largest nightclub. He produces under his own label, Bakerloo. He now promotes his own club night called "Meganite", now in its fouth year at Privilege Ibiza, the worlds largest nightclub. He produces under his own label, Bakerloo. After many years spending half his life producing & A&Ring BXR Records at the Media Records studio complex in Brescia, Italy and half DJing every weekend, Mauro Picotto decided in 2003 to dedicate his energies almost totally to his DJ career. Since then he is one of those DJs who spends his life on planes travelling the world playing at festivals and mega clubs. Unlike many DJs, Mauro has concentrated on performing at his own Meganite branded events and parties. At these events he can DJ for hours and choose his supporting DJs to complement the sound of the night. There are Meganites in London, Miami, Turin, Glasgow, New York, Montreal and every Wednesday at Priviledge in Ibiza. Mauro describes these nights as ?electronic music lifestyle? and frequently plays much of his own music designed specifically for the mood & energy of these nights. If anyone were to judge what they may hear at these nights by records Mauro made in the late 90s they would be very far off the mark. Mauro's sound now is a fusion of funky minimal with the techy edge and melodic elements that were always his trademark sound. Mauro is back in the studio with renewed energy and 2007 sees the release of an album Mauro Picotto ?Now & Then', a DVD Mauro Picotto ?Live On Tour' and singles taken from the album all on the brand new imprint SWrecords (so called as he is spending time in Battersea in South West London, also the home of Media Records UK). This is a fresh and exciting new chapter in Mauro's incredible career.
? Hosting his own Meganite party at Ibiza's biggest club Priviledge every Wednesday. And especially the closing party last September where Mauro was spinning for 10 hours until mid day!
? Touring the US & South America in October where he made the ?Live On Tour' DVD taking in venues in LA, Columbia, Venezuela and more!
? Playing alongside The Prodigy at a large event in LA last autumn.
? In January Mauro played the closing party of the Universiadi for over 50,000 people in Piazza Vittorio Turin.
? Performing at the HEINENKEN JAMMIN FESTIVAL in Venice as one of only 2 DJ invited to spin at the festival (along with Claudio Coccoluto). Mauro will be playing after the Red Hot Chilli Peppers and other legendary live acts on 16th June.
? Meganite returning to Priviledge every Wednesday in Ibiza for the whole of new 2007 Ibiza season.